“Pankh training has helped me a lot. It has helped me find my identity and confidence to believe in myself.” – Mahadev, one of our many students. The retail sector is one of the largest sectors of the Indian economy. While it is growing at an impressive rate, it is also facing challenges related to inadequate manpower and higher attrition rates. Thus, in order to tackle these adversities, there is an acute need to develop a sense of diversity and inclusion of Persons with Disabilities (PwDs) in the workplace. Like everyone else, people with disabilities have the right to dream, and right to equal opportunity. They also have their own strengths, hopes & needs. As per the census of 2011, there are around 26 million persons with disabilities in India and what’s truly saddening is that their employability is less than 1%. Given a fair chance and appropriate opportunities, PwDs too can contribute to the society, thereby leading the life of a dignified citizen. Matching this need to a viable solution is Pankh. 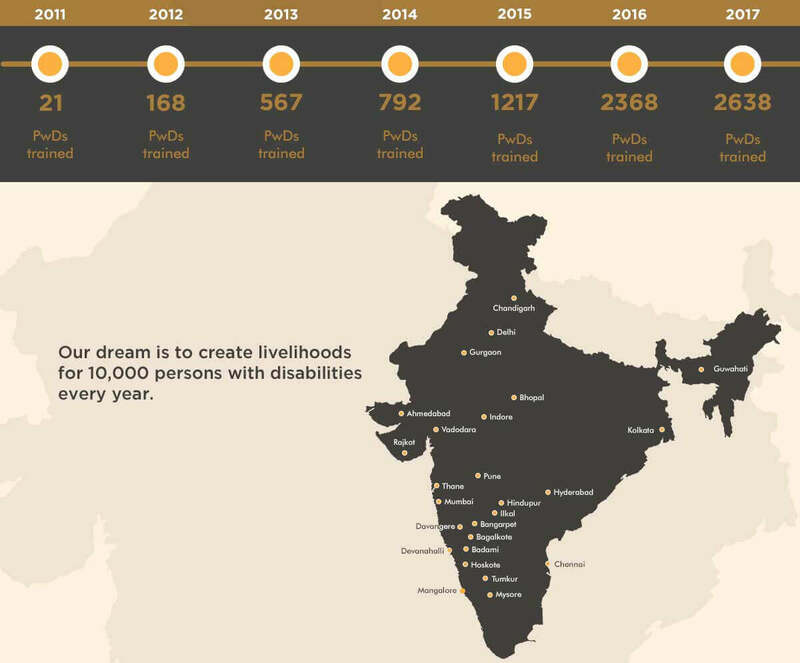 Pankh – Wings of Destiny is an initiative was launched by TRRAIN (conceptualized in 2011 in partnership with Youth 4 Jobs Foundation (Y4J)) with an aim to train PwDs by providing them with employment opportunities in the retail industry and helping them live a life of dignity. Through this program, by 2020, we seek to build sustainable livelihoods for PwDs by promoting inclusiveness in the retail industry. We aspire to train and facilitate placement opportunities for 10,000 PwDs every year. Our aim is to make inclusion a priority in the industry and change the way individuals think and act towards people with disabilities. This is because fostering inclusiveness in the retail industry is not just morally imperative, but also necessary for the growth of the economy. We strongly believe that providing employment to people with disabilities adds diversity to the workplace, imparts a strong brand image to the business, and has a positive impact on society. Furthermore, an inclusive workplace paves the way for creativity, innovation, and productivity. 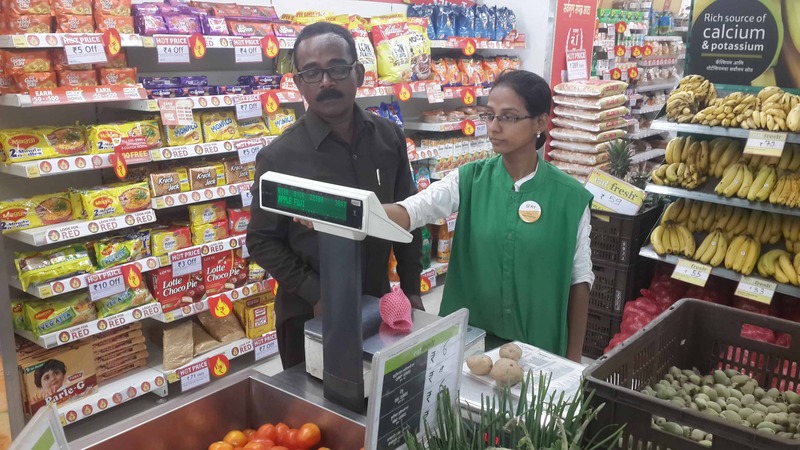 This training program aims to arm a PwD with the complete spectrum of retail specific skills. Our primary focus here is to develop three key skills, i.e. Speech and hearing impaired Arvind Kadhane harboured a strong desire to be independent and fulfill his dreams. These began to turn into reality when he was hired as a fashion associate at Pantaloons. Arvind believes in going the extra mile when it comes to his job and he has been recognized for his effort. Like the time he assisted a client with two kids right from when she walked in to the store till the end of the purchase, helping out with sizes, carrying the clothes, making suggestions and ensuring a smooth experience. His efforts resulted in him wining the ‘Fashion Associate Star’ award for the month, impressing his customers, associates and managers. Viral is 28 years old and belongs to a lower economic class family. He belongs to Sabarmati, Ahmadabad. He was diagnosed with Speech and Hearing Impairment. His father- Mr. Chaitanay Khamar expired 15 years ago. From then, his mother- Dharmisthu Ben Khamar takes care of the family expenditure from the pension she gets. Viral got married 1 year ago. His elder brother is also married, who works in a mill but didn’t contribute to the family expenditure and lives separately. Viral has successfully completed his secondary school examination in English medium. After marriage, Viral started feeling very depressed as he was not able to contribute anything to his family and now after marriage also he and his wife are dependent on his mother’s pension. He was very worried and skeptic about himself and his family’s future. Then he got to know about Sai Swayam Society and approached Ahmadabad office. He was quite impressed after getting to know about the program run by SSS. 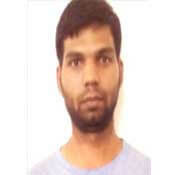 He joined the Ahmadabad center with a hope of getting a good job. He showed keen interest and enthusiasm during the training period. Because of his interest and commitment to work coupled with the skills he got during the training, he got placed in Mc Donald, Ahmadabad as a Trainee Crew Member. He is currently drawing a handsome salary of Rs. 8,000/month. He is very happy that he is now working and apart from taking care of the family, he is also able to save. He is a perfect example and role model for the speech and hearing impaired community, who aspire to do something in their life. Diagnosed with polio at the age of 3, Gavi was given up by her parents and raised by her maternal grandmother till she was in the 7 th grade. When her grandmother passed away, it looked like there was no light at the end of the tunnel. Her father took her back home to financial troubles and family burdens. But Gavi picked herself up and kept moving forward. She took a loan to pay her father back for her education and to fund her own BA degree. After this, she needed to find a job. She was skeptical about being accepted into a role with her disability but gained confidence after training at the Pankh – Alamba campus. 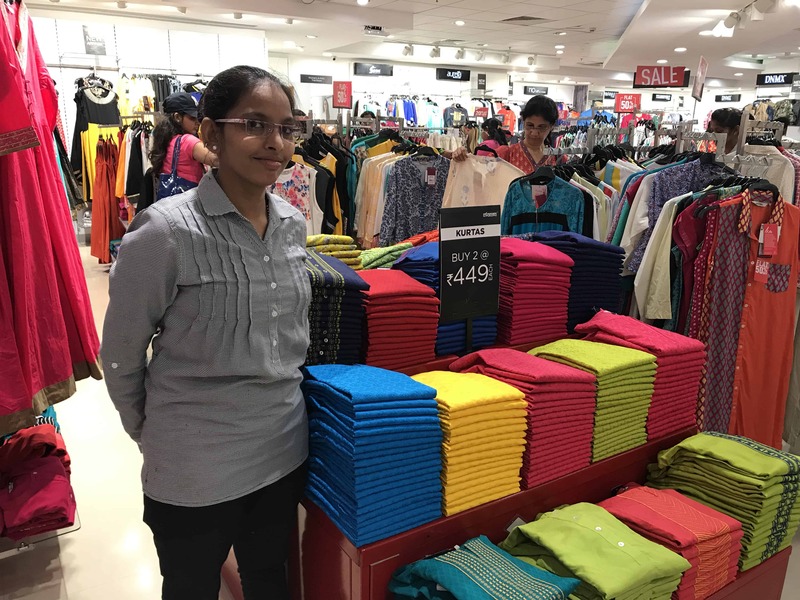 Her efforts were rewarded when she got a job as a cashier at Jubilant Group’s Total Mall, which was later taken over by More Megamart. Gavi has since won awards like ‘Best Cashier’ and ‘Employee of the Month,’ funded a big part of her sister’s wedding and had a successful orthopedic surgery that has enabled her to walk with calipers instead of crutches. Mahdev Hanmante is a 22 year old deaf boy from a small village from Latur district in Maharashtra. His father works in as a painter whenever he got contract in his local area & his mother is a housewife. His younger brothers are studying. Somehow he has managed to complete his 12 th & couldn’t pursue further due to his poor economic condition of his family. The annual income of his family was Rs.30,000. He was struggling to get a job but couldn’t find one because of his disability. He finds his disability a big barrier & got sad by himself. While a meeting with his friends in Latur, he came to know about Pankh training program and wanted to come and learn at the institute but did not have the money to come to Mumbai. Some of his friends contributed money and some he gathered from his savings and came to Mumbai. In Mumbai, he stayed in Nallasopara, sharing a room with his co-students. Mahadev joined Pankh Santacruz Centre & successfully completed 45days training. 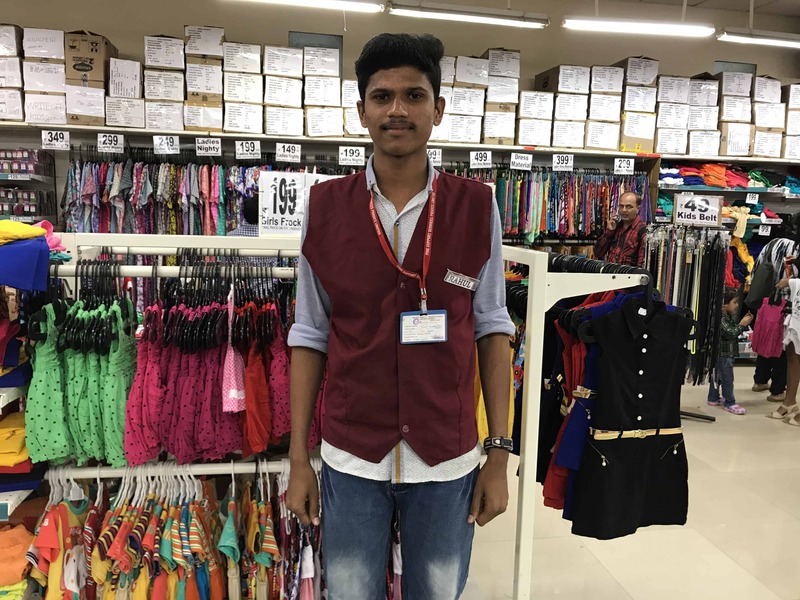 He said, “Pankh training helped me a lot to increase my confident, gave me my identity which I have lost earlier & taught to believe in myself.” After completing the training he immediately got job in Future Group & started working in Big Bazaar, Dahisar Store. 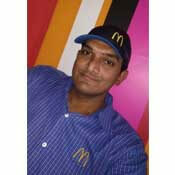 Mahadev is working as a Team Member and earning RS.10,000 per month. He has successfully completed a year in the organization. His Team Leader Mr. Pandurang Jaybhaye said “Mahadev is very excellent in his work. He is very active & understands customer needs very well. Being a deaf person he understands everything. So we all are very happy to have him as a part of our team. He is capable as any other employee in organisation and motivates others.” Mahadev is very happy with his work, work place & colleagues. He is taking care of his family & his both the brother’s education. His parents are proud of him. He said “he doesn’t have family and so the Pankh institute members are like his family as they have given him a means of sustenance. He is thankful to Pankh for guidance & Big Bazaar for giving opportunity to prove himself. Manjula.M.Talwar was born and brought up in Neeralkere Village, Bagalkot District of Karnataka. She lost both her parents at the tender age of 8. Diagnosed with polio on her left leg, she struggled to walk and sadly, her parents too didn’t pay much attention to her since she was a girl child. She currently lives with her two siblings. Her older brother works as a construction labourer and her younger brother has just completed his 10 th standard. The family had been surviving only on her brother’s income and they struggled to make ends meet. However, her current situation did not deter her but only made her stronger. With great effort, she completed her 2 nd PUC in a government college and in the midst of looking for a job, she came across the Pankh training program. She decided to undergo the training in the hope of securing a job and a better future. Post completion of her training, she wished for a job close to home, and with the help of Pankh’s local NGO partner, Reach, her profile was shared with the Gram Panchayat. She was selected for the post of VRW (Village Rehabilitation Worker) and now earns a salary of Rs.3,000 per month. Manjula is independent in more way than one- she can comfortably sit in the office and work, is financially independent and is taking care of her family needs along with her older brother. She is hopeful of becoming a manager in a big company some day and getting her brothers married. She believes that without the support of Pankh and Reach, her dream would have been remained unfulfilled. She is grateful for the opportunity. Rahul, born on 14 Jan, 1991 is 26 years old. His native place is Rewari, Haryana. He is the only deaf in the family. His father is a government servant in railway and his mother is a housewife. He has 4 sisters, who are married and 1 brother who has his own business in Chandigarh. He belongs to a financially strong family but the family is not supportive at all. He was supported by his Uncle. He has completed his secondary school examination. He desires to have a job and live an independent life, where he does not have to ask for money from someone. But after trying a lot he was not able to get a suitable job as he does not possess any technical skill. His uncle came to know from one of his contacts about Sai Swayam Sociey. He enquired about SSS and enrolled Rahul in SSS’s Gurugram center, where Rahul acquired the skills required to get a good job. Rahul is a good observer and quick learner. He loves to explore and learn new things. 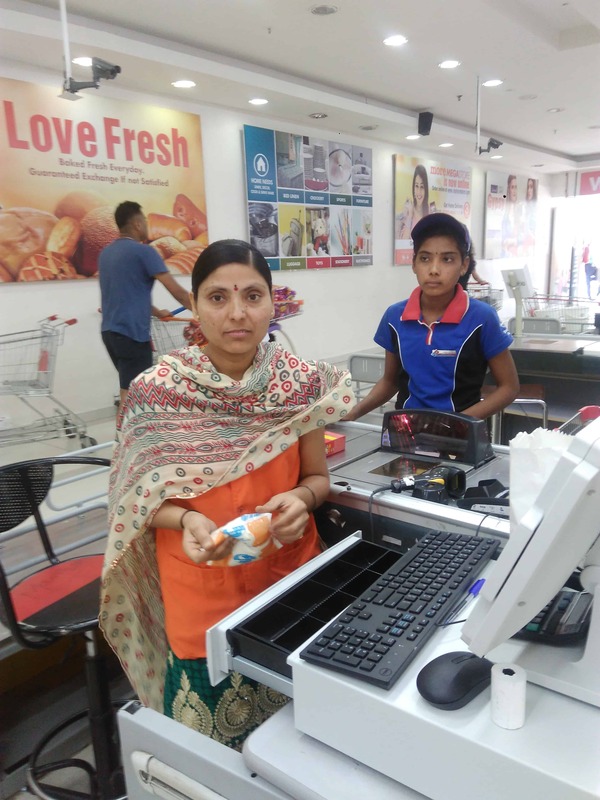 After the training completed, Rahul got placed in Vishal Mega Mart’s Gurugram center as a Customer Support Associate. He is earning a salary of Rs. 8500/month. He has successfully completed 4 months there. Staff members are very happy with his behavior and performance. He set an example for others that if a person is self determined he can achieve whatever he wants. He is an inspiration and motivation for other deaf individuals who are going through hardships. Swapna Sonkatale belongs to Solapur, a small city located in Maharashtra. 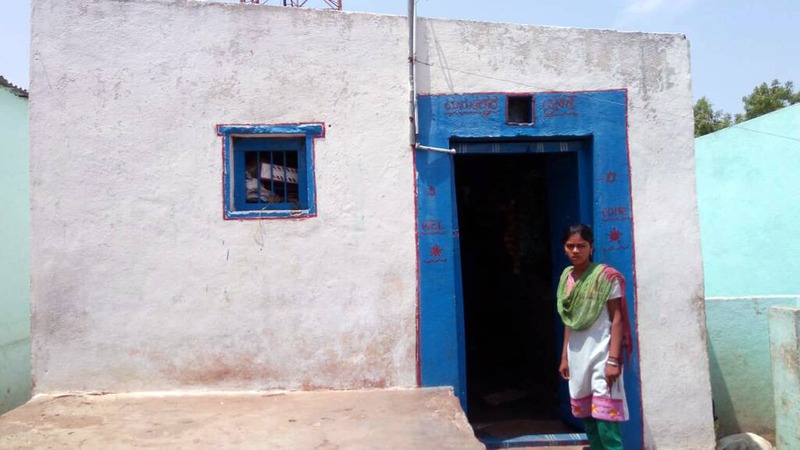 Soon after completing her 10 th standard, she returned to her village as her mother believed she had reached a marriageable age . In the pursuit of finding the right marriage proposal, Swapna spent an entire year at home. During this period, she came across her senior who works as a trainer at Pankh. With an interest to know more, Swapna travelled to Pune with her friend and her mother. After visiting the center and the program, she was convinced of the opportunity that lay before her. This led her to take up the Pankh 45 day training program. She enrolled for a class which was an all-girls batch with 19 other determined women like her. The program fuelled her with such confidence that on women’s day, she and her classmates performed a skit on savitri bai phule. Her efforts were rewarded when she was hired at Reliance Fresh as a sales associate post her training. Speech and Hearing impaired Varsha Pawar harboured a strong desire to be independent and fulfil her dreams. So did her sister, who is also born deaf. They both live with their parents and an older brother in Pune. Constantly worried about their future, Varsha’s parents never encouraged their daughters to step out and make themselves capable of applying for a job. 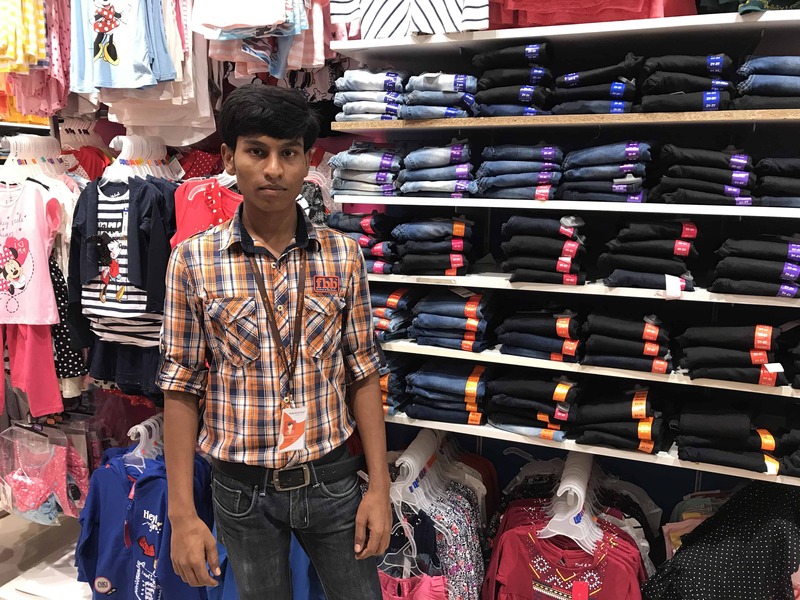 However, one day, on a shopping visit to D-Mart, Varsha’s father and sister noticed a speech and hearing impaired employee working at D-Mart. Through their conversation, the employee informed them about Pankh and the employment linked retail training offered. This drew their attention and accompanied by her family, Varsha visited the Pankh center. There she was introduced to the program and noticed that the curriculum was taught by a deaf trainer. She immediately joined the program and there was no looking back. 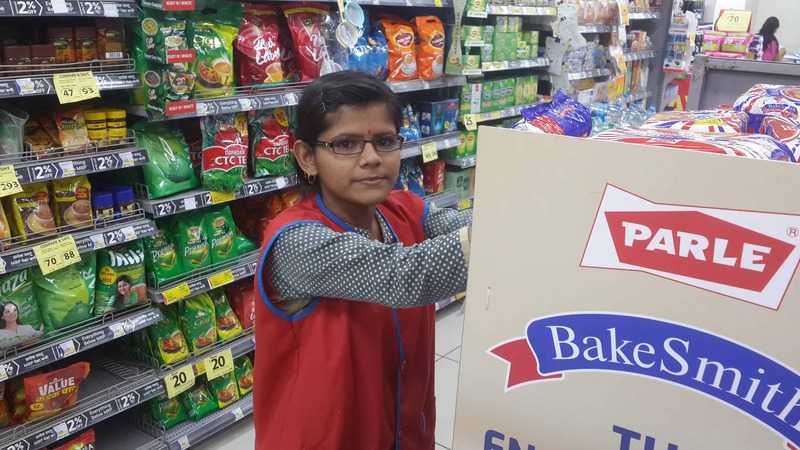 Varsha is now working at Star Bazaar as a sales associate, in a job role that has made her financially independent. She enjoys her work and feels very active. Her parents are very proud of her achievement and hope that more people like Varsha are given an equal opportunity to fulfil their dreams. 304, Eureka Towers, B wing, 3rd floor, Mindspace, Link Road, Malad (W), Mumbai 400064. India. Copyrights © 2019 TRRAIN. All Rights Reserved.